When I argued at the J Street Conference that J Street couldn't simultaneously appeal to people with Walt/Mearsheimer-esque views on Israel and a significant chunk of the American Jewish population, one of the names I cited as an example of the former was Phillip "The U.S. Without Israel is Like A Fish Without A Bicycle" Weiss, who writes for the Nation. I tried not to exaggerate the connection -- for all I knew, Weiss was just an anti-Zionist writer who had a nice word for J Street. But still I celebrate it. I keep thinking about Jonathan Chait’s angry face. Creepy. I don't want to ruin Weiss's celebration, but I had a terrific time at J Street's conference, and I left feeling much better about the group's future, for reasons I'll get into momentarily. I suppose my default facial expression is a little cold, especially early in the morning and in crowded places. But I'm a happy guy, and I had a great time debating Matt Yglesias, who I disagree with quite a bit on foreign policy but is really smart, and was extremely gracious in conceding my main point. Also, while I am "engaged" with TNR -- I'm employed here! -- I have no idea what Weiss is talking about with his claim that I'm "engaged" with AIPAC. A couple times a staffer at AIPAC emailed me, but by that standard I'm "engaged" with half the policy groups in Washington. I'm also a little confused by his belief that I'm part of some conspiracy to destroy J Street. I thought this would have been refuted by the fact that I, you know, appeared at J Street's conference. Anyway, I'm encouraged by the fact that J Street's leader, Jeremy Ben-Ami, seems to recognize exactly the predicament I wrote and spoke about. In an interview with Jeffrey Goldberg, he repudiated the "one state solution" and the Walt/Mearsheimer thesis, called U.S. military aid to Israel non-negotiable, and said he welcomed attacks from his left. 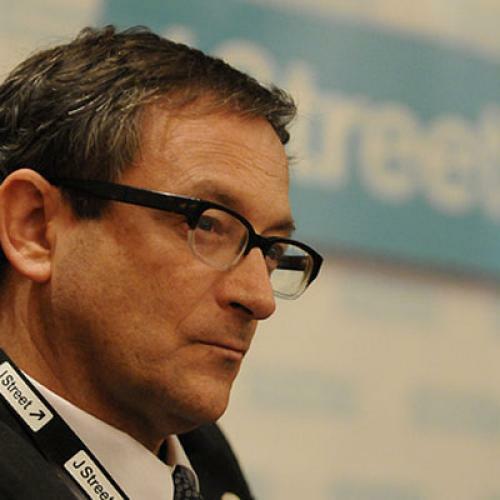 In a subsequent Jerusalem Post interview, he described J Street's ideology as similar to Kadima. If true, that would put J Street slightly to my ideological right (I'm closer to the Labor view.) The fact that Rabbi Eric Yoffie, the head of the reform rabbi organization and a relative dove, was booed at J Street's conference for criticizing the U.N. Commission on Human Rights shows how big the gap is between Ben-Ami's positions, which are well within the Jewish-American mainstream, and the passions of J Street's most ardent supports, who are not. I think, in reality, J Street is going to remain further left than Kadima (and me) -- maybe close to the Meretz line, but certainly far, far to the right of the likes of Phillip Weiss. (By the way, I'm not slurring Weiss by calling him anti-Zionist -- that is his proud self-identification.) Weiss in his gloating post predicts that it's "inevitable" that J Street will endorse a full boycott of Israel. I won't say that's impossible, but it's vanishingly unlikely. J Street aspires to be a politically influential group that challenges AIPAC for the loyalty of the Jewish mainstream. An organization representing Jewish anti-Zionists would have about as much clout as a group representing Jewish professional athletes. Before this week, I thought J Street was going to be a small left-wing group with more press clippings than members. Now I think it's got a chance to become what it says it is -- a mainstream liberal Jewish organization that helps redefine "pro-Israel" away from territorial maximalism. That would be a cause for celebration.